Surrounded by her family, Adeline Josephine Wirtz passed away on her 94th birthday, Tuesday, December 4, 2018 at Ascension All Saints Hospital. 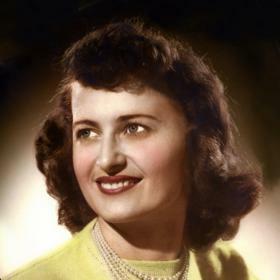 She was born in Racine, December 4, 1924, the sixth of ten children of the late Rudolph and Anna (Nee: Barina) Simanek. Adeline attended Wm. Horlick High School. 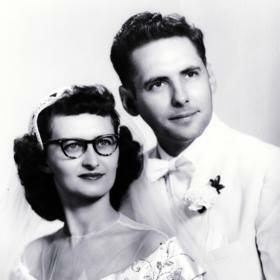 On August 23, 1952, at St. John Nepomuk Catholic Church she was united in marriage to Marvin J. Wirtz. 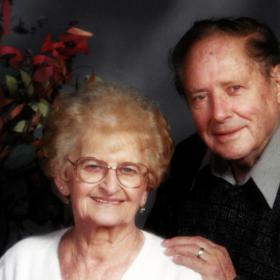 They were married for sixty years when he passed away April 28, 2013. 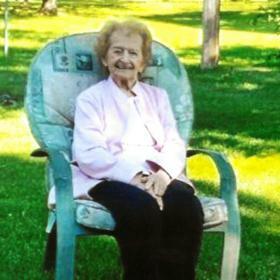 Adeline was a longtime member of St. Sebastian’s Catholic Church and the Ladies Altar Society. 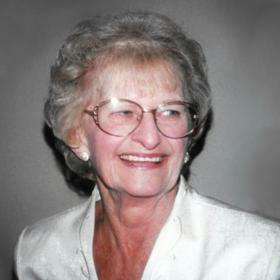 She was an avid reader and enjoyed cooking. Above all she was a devoted wife, mother, grandmother, and great grandmother who will be dearly missed. Survivors include her children, Sharon Wirtz of Chandler, AZ, Patricia Fohr, John (Sheri) Wirtz, all of Racine; five grandchildren, Joshua (Jackie) Fohr, Christopher (Gerri) Wirtz, Kimberly Wirtz, Sarah (Jamie) McCluskey, Erik Wirtz; 11 great-grandchildren, Adam and Gracie Fohr, Colin and Mason Wirtz, Gabi, Brooklyn, and Kingston Robinson; KJ Wirtz, Gavin, Lucas, and Emma McCluskey; sister, Dolores Bauer; brother, Ralph (Jan) Simanek; nieces, nephews, other relatives and many dear friends. In addition to her parents and husband, she was preceded in death by siblings, Mildred Nelson, Beatrice Atherton, William Simanek, Mary Running, Betty Ward, Harry Simanek and Ann Jacobsen. A Mass of Christian Burial will be celebrated at St. Sebastian Catholic Church, 3100 95th Street, Sturtevant, Tuesday, December 11, 2018, 6:00 P.M. with Rev. Terry Huebner officiating. Private interment will be held at West Lawn Memorial Park. Relatives and friends may meet with the family Tuesday at the church from 4:00 P.M. until time of Mass at 6:00 P.M. In lieu of flowers memorials to the American Diabetes Assn have been suggested. A very special thank you to Dr. Pirece-Ruhland, nurse Karen, and mom’s caregiver Amy for all their loving and compassionate care.